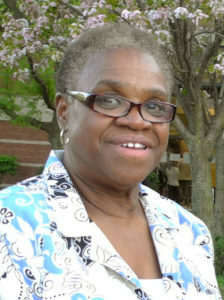 During the annual LMS Dinner Theatre April 30, Margaret Allen, executive director of the Bethany Child Care Center in Philadelphia, was recognized as the 2011 Alumna of the Year. She graduated from the school in 1958. 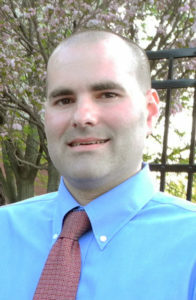 Joseph Leaman, a 1998 graduate, was named the 2011 Young Alumnus of the Year. Leaman is an account manager at BCF Group, Inc., an independent insurance firm in Lancaster. Margaret Allen helped to develop the Bethany Child Care Center almost 40 years ago. Under her leadership, the center grew from 35 to 78 children. It serves infants through age 13. Prior to her work at Bethany, Allen was a secretary/bookkeeper at the New York City Head Start Program at Infinity Mennonite Church (formerly Seventh Avenue Mennonite), where she also directed an after-school program. Allen has served on multiple boards and committees for groups such as the Mennonite Central Committee Peace Section, Eastern Mennonite Missions, Diamond Street Mennonite Church (Philadelphia), and Diamond Street Community Center. She taught Sunday School and Summer Bible School at numerous congregations, including 10 years at Diamond Street Mennonite. In addition, she was a camp counselor at Camp Hebron and was involved with the New York City MYF. She also was secretary for the African American Mennonite Association and helped organize and direct the first Mennonite inner-city churches’ black woman conference at Black Rock Retreat. Other community involvements include helping to provide inner-city employment opportunities, serving on Philadelphia’s Advocate Committee to raise funds for a community playground, and placing needy families in work-related training programs. Allen studied at the Ontario Mennonite Bible Institute in Kitchener, Ontario; New York University; Hesston College; City College of New York; Temple University; and Antioch College. Joseph Leaman, who attended Locust Grove K-8 before coming to Lancaster Mennonite High School, holds a degree in business administration from Millersville University. BCF President Brad Forney says Leaman’s strengths include dependability, integrity, and respect for co-workers. Leaman is heavily involved at Stumptown Mennonite Church where he serves as a worship leader and is a member of the Partnership for a Missional Church steering team and the Gift Enablement Team. In addition, he teaches Sunday School and Summer Bible School and has served on the worship planning committee. At Lancaster Mennonite, Leaman has helped with the 3 v 3 basketball tournament held each fall, recently completed a two-year assignment on the alumni board, and is a volunteer for the annual alumni phonathon.